I chose Alexander the Great because I think he was a strong, kind, generous, and merciful man who died at the early age 33. I like Alexander because he was very confident and he believed he could do everything he did. He spent most of his childhood studying, training, and preparing to take his father’s place as king since King Phillip’s first son died at an early age. His life may have been short, but he accomplished a lot. He lived in about 320 B.C. in the country of Macedon, which would later become part of Greece. When he was 12 years old Alexander received a pet, and unknown to him soon became his best friend. His name was Bucephalas. He was the horse that would follow Alexander into many victories. When Bucephalas was killed in battle, his owner Alexander built a town near or at the place where Bucephalas was killed in his honor. Alexander went on, after Greece was under his control, to Asia to take it over, but before he could he had to untie the Gordian knot which he then proceeded to cut. If he was unsuccessful he would not have been able to conquer Asia (myth). 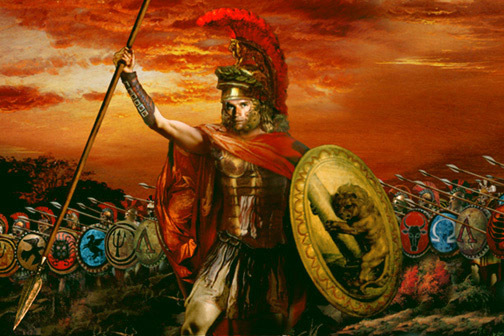 There have been many legends that were made after Alexander’s death. Two of the most famous is that he found the edge of the world and that he received a gift from an angel outside of the Garden of Eden. There are many more than that though. Even though Alexander’s life may still somewhat be a mystery there are little chunks found. Alexander’s life soon will be known around the world.